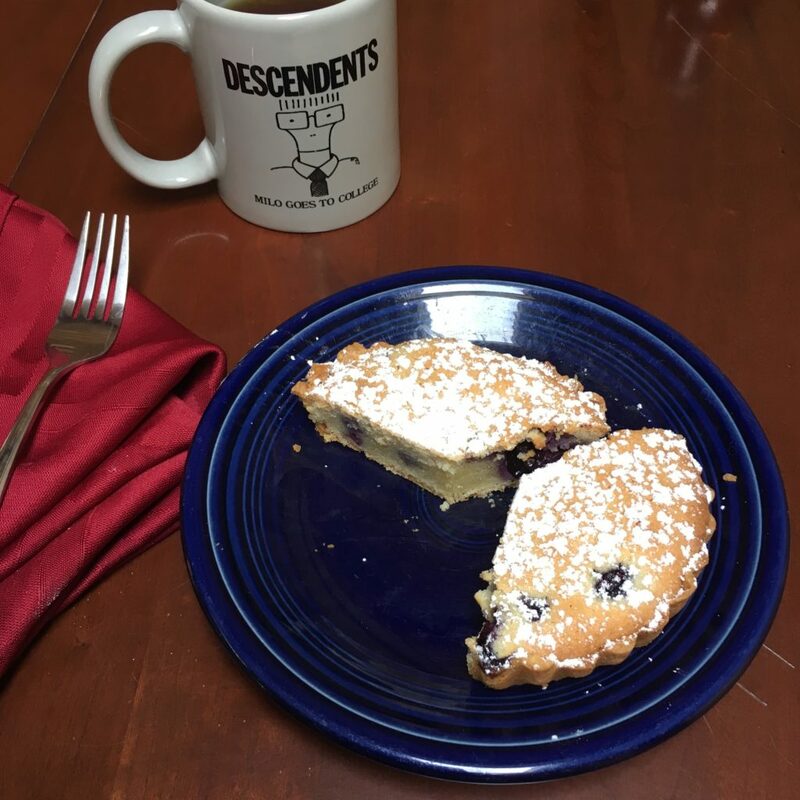 You are here: Home / Dessert / Guest Contributor: Let’s Get Poncy – Frangipane is Your New Favorite Dessert! Tony Miller is a remarkable man. Slow to find his calling, we met in the kitchen of my food business, many moons ago. He was in love with a highly talented woman and had decided that he would apply himself and thus win her hand. Since Tony loves to eat, cooking was a good fit. He showed talent and interest. We were a good team and Tony was a quick learner. All too soon, he followed his lady love to the east coast, where he used what he had learned with (not from) me to earn respect in food businesses in and around the Boston area. He did win the hand of the fair Kate and as she became both a mom and MD, so Tony became a house-husband and student. Tony still cooks and this is absolutely his voice – clear as a bell. The only thing that you don’t see is that Tony is a big guy – with a heart of gold and, apparently, a deft baking-touch. Now I’ll turn it over to Tony…. The pleasure from baking is a relatively new sensation for me. A licensed therapist would likely tell me that it befell me when depression, the desire to seek new knowledge and the need to be creative collided in a haphazard attempt to feed my face and those around me with baked goods. A couple of years later, the cost of baking supplies, time and appliances versus the therapist’s fee and I may have broke even. However, much enlightenment has come from my successes and failures as a fake, aspiring baker. I realize that I could never fall out of bed and make perfect biscuits like my grandparents made on Sunday mornings. Also, baking with my offspring forces me to question whether or not they understand simple human interaction (or cleanliness). And finally, if you wanna bake good things, or even edible things, then check your sensitivity and willingness to fail at the door. My wife would argue I haven’t mastered that last bit. She may only be partially correct. I started with simple yeast rolls and failed horribly. They were too sweet or too yeasty or they didn’t rise or some kid decided it would be great to jab her filthy finger into half risen dough. I moved to pizza dough and improved over time with several attempts, though never mastering that balance of crispy and chewy. But it was still good. I made cookies for my daughter’s class: delicate butter shortbreads cut into Xmas shapes. My wife and I provided sprinkles and other nonsense to ruin my crispy trophies. My wife is very complimentary and I value her opinion but it was the high marks from a second grade teacher that really made me dig deeper into this baking thing. “Sophia! You’re father is a talented man,” she said and promptly emailed me for the recipe. I found other things to bake that I felt were home runs and they tasted as I envisioned them when reading the recipes I used for research: my cinnamon bread being one of them. But when my mother-in-law served the frangipane she purchased from the bakery section at the pricey whole-grocery monger where one is judged at check out by the 75 year old white women with gray dreadlocks and a Che Guevara t-shirt for purchasing the cheaper, conventional carrots, I saw it as a chance to step up my baking game. 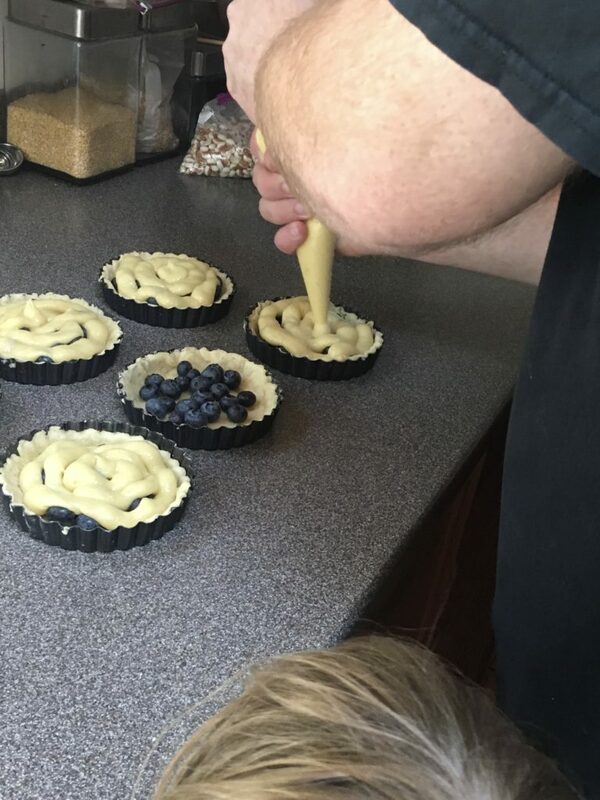 I started baking these tarts early in the morning to avoid both the late July, New England humidity and having my kids lucid enough to want to get involved in or even be around the process. Both presented a challenge. For the latter, as soon as I began compiling the ingredients for the crust my eldest daughter thought it was the perfect time to brush our cat. The oft uttered one syllable, parental mainstay ‘no’ morphed into a multisyllabic and phonemically challenged grunt that thankfully cleared the room. The heat only required me to work quickly. 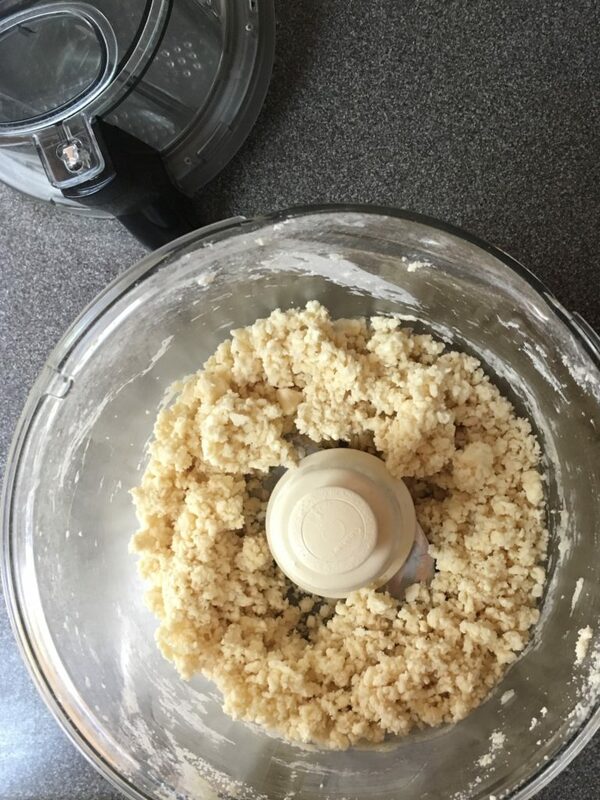 Combine butter and dry ingredients in a food processor to make coarse crumbs and add ice water and pulse to make a wet, but firm ball and wrap in plastic wrap pressing to make a thick, rectangular disc shape. Refrigerate for at least 30 minutes. On this hot day I kept it in the fridge for an hour, removed the disc and cut into thirds and returned to fridge while the oven preheated to 350 degrees. 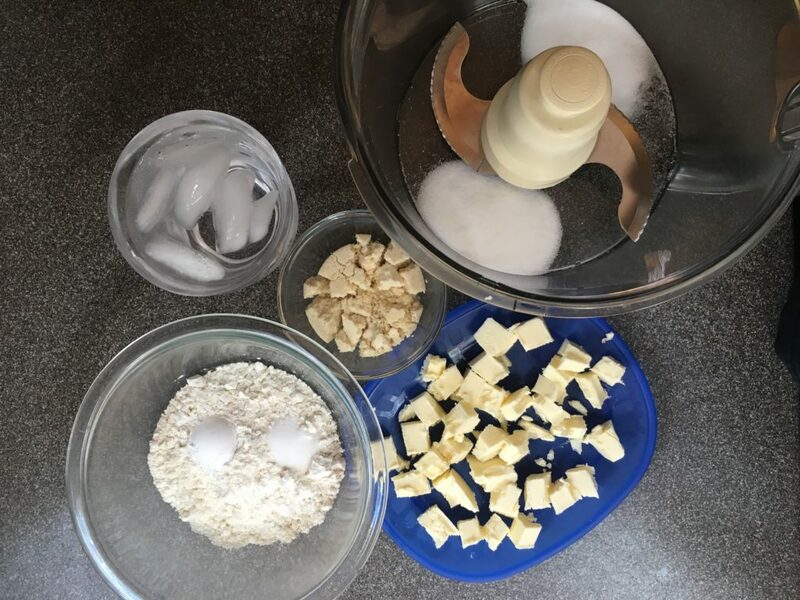 Combine butter and sugar in a food processor. 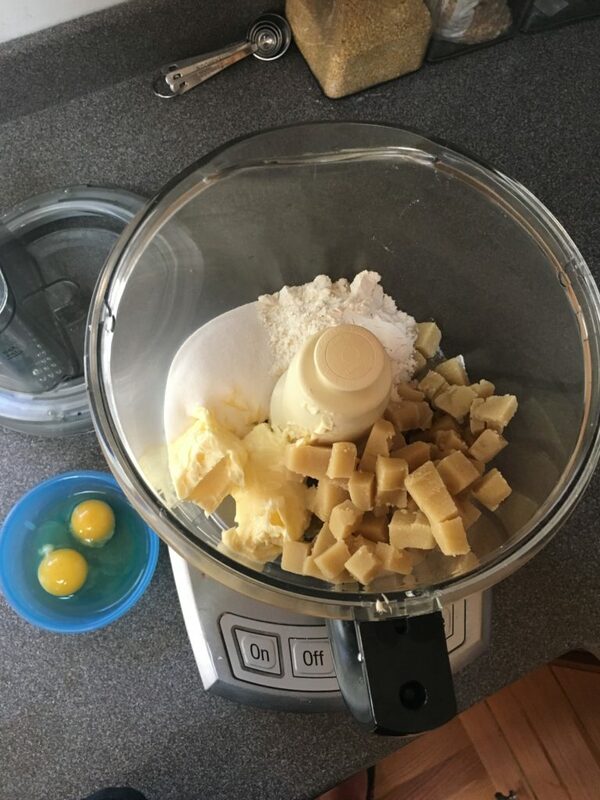 Cut almond paste into 1/2 chunks and add it with the eggs and blend to a smooth, creamy paste. I scoop the pastry cream into a disposable pastry bag but a zip top bag with the corner cut would provide a cheaper alternative. You could spoon it in by hand, but that’s a pain in the keister and I don’t recommend it. After blind baking, remove the foil-filled with weights and allow to cool for about 10 minutes. This is the point where you steal my recipe, which I stole from a combined eight or ten other people, in order to make this recipe your own. 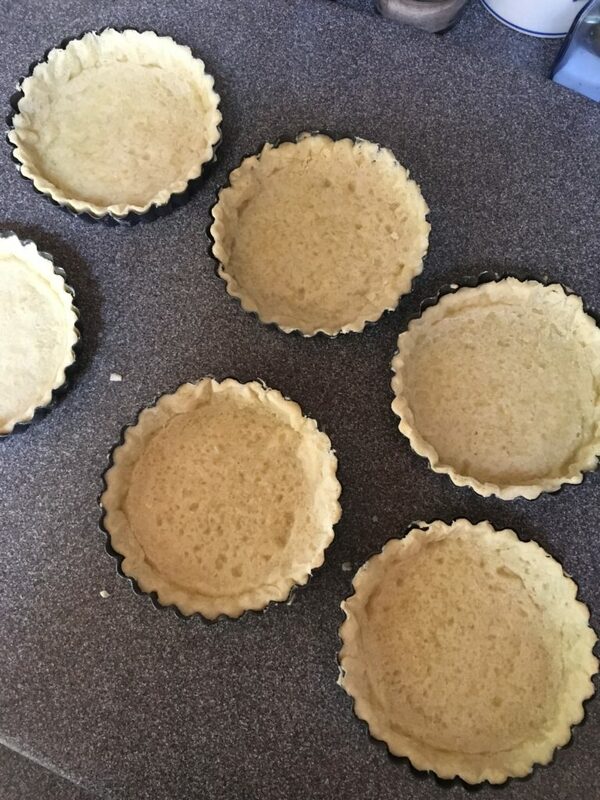 The filling elevates theses tarts. I like blueberries in my frangipane. Use frozen berries to have the presence of whole fruit at the bottom because they hold up well during baking. Here in New England this time of year graces us with amazing fresh blueberries, raspberries and blackberries (great for apple and blackberry crumble) that create a jam-like consistency without the extra sweetness. High quality apricot jam smeared on the bottom before adding the pastry cream adds a punch of sugary goodness that goes great with afternoon tea. Sprinkle some toasted sliced almonds on the bottom for texture. Get super poncy and spoon in caramelized chilled pears cooked with Brandy or Calvados. Just add it before the pastry cream and do it sparingly. Whatever you like. It’s your journey. Place the filled crusts back into the oven (that you left on during the filling process) and cook for about 40 minutes. If your oven has a few hot spots, rotate halfway through. 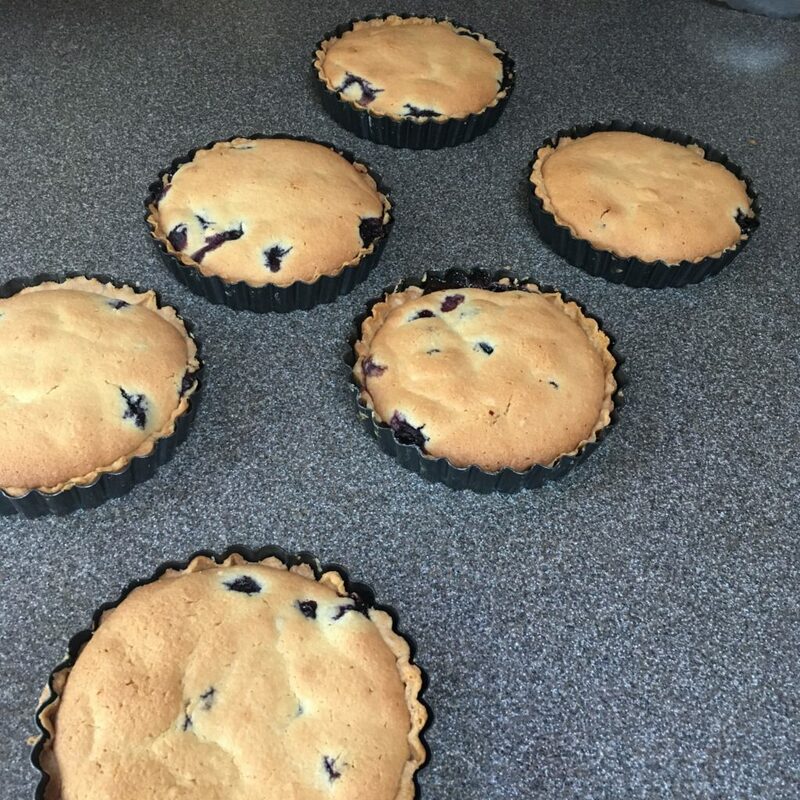 Remove from the oven, let cool until cool to the touch and remove from the tart pan to a cooling rack or chilled plate to finish cooling until serving. Dust with powdered sugar, or don’t. Store your tart or tarts in the refrigerator for up to a week, covered in plastic wrap or in a zip top bag, though it won’t likely last that long. This is perfect with afternoon coffee or tea, great after a light dinner and if you decided to eat it for breakfast, I wouldn’t judge you. Sometimes it’s okay to be poncy. This sounds delicious and I loved reading the narrative and recipe. Sounds like a very competent, creativr and fun chef! Glad to hear that you liked the narrative and recipe. Please let us know if you make it.